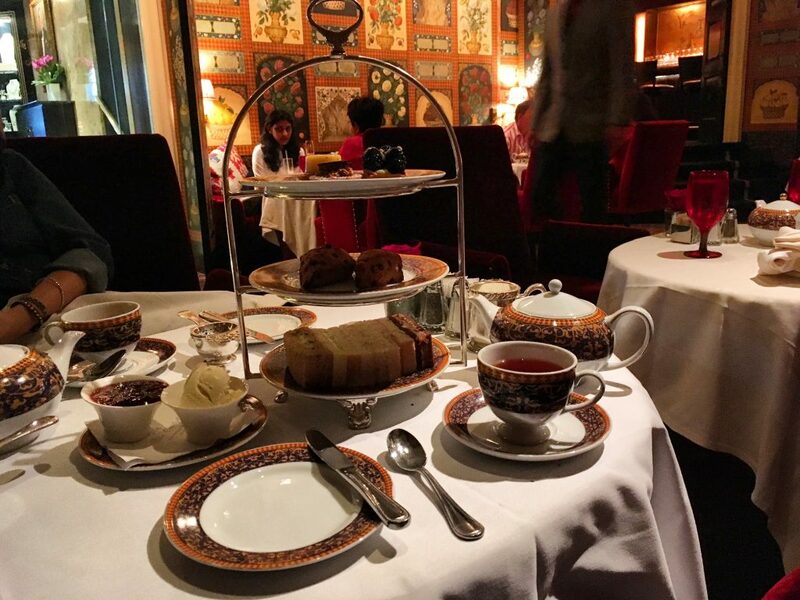 In my quest to discover afternoon tea around the world, I’m really glad there’s a selection of places to go for tea in my home city, New York City. 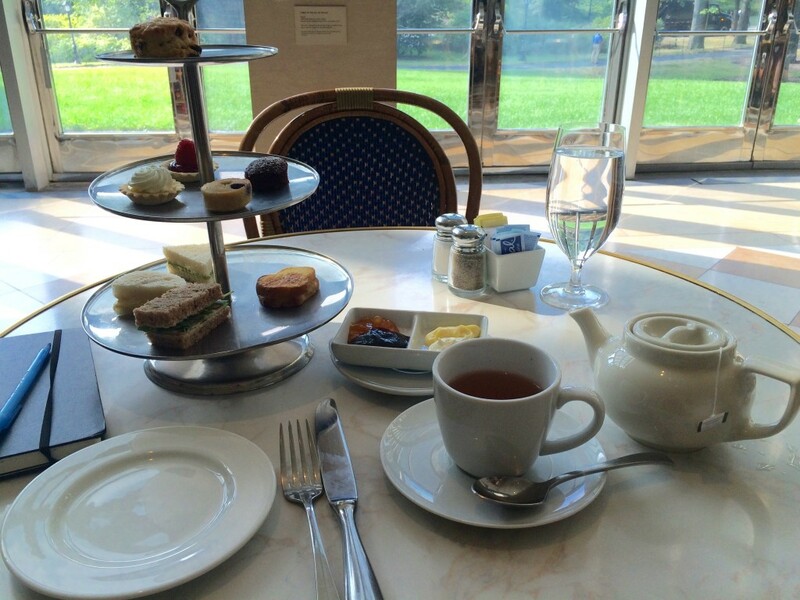 If you’re only planning on having tea at one place in New York City, The Plaza should be it. 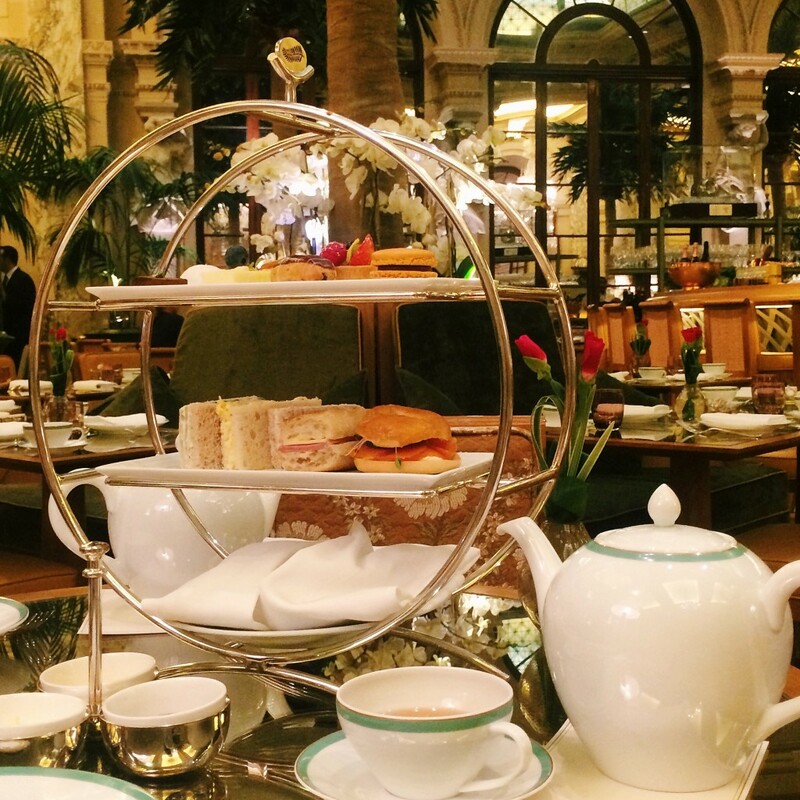 It’s a classic experience, the setting at the Palm Court is really beautiful and it’s the must-do when visiting New York kinda thing. Two words: the view. 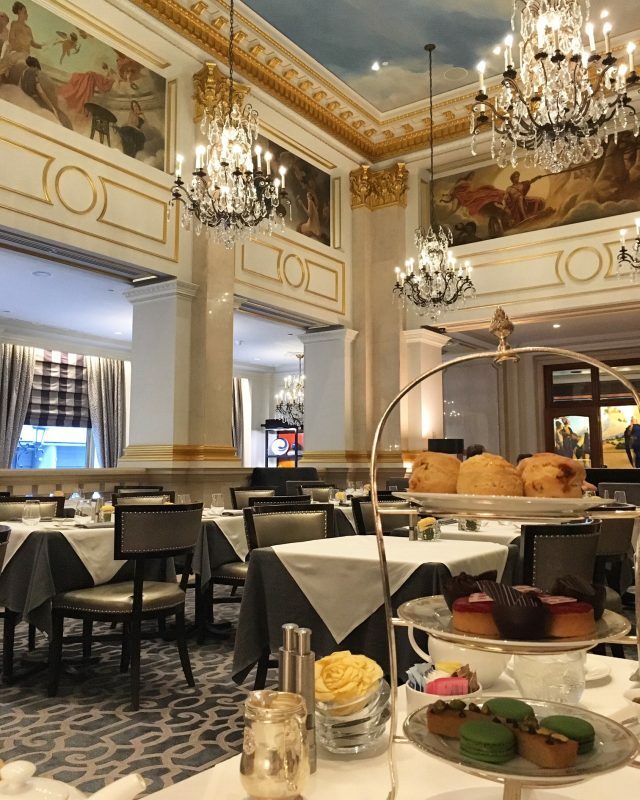 Mandarin Oriental New York offers an afternoon tea service at their lobby lounge, which overlooks Central Park, Columbus Circle and 59th street. If anything, just go for the view. 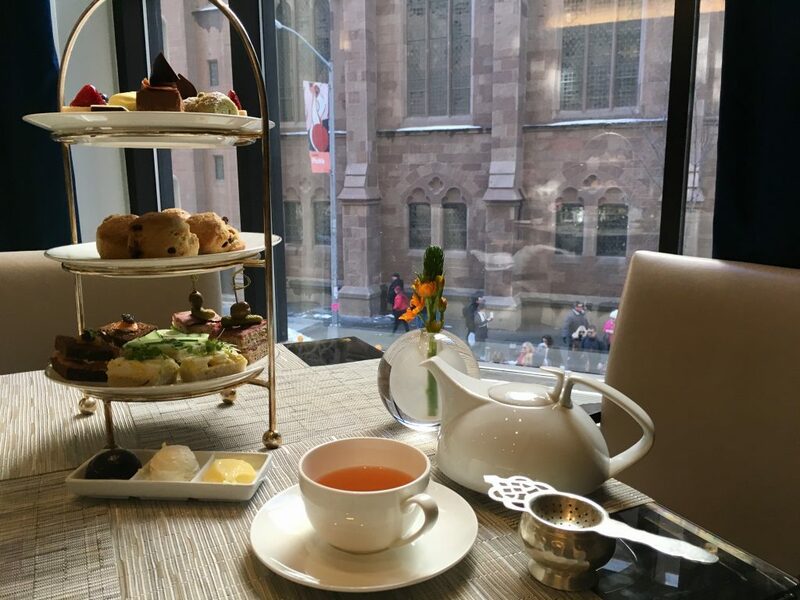 A place to fill your afternoon tea craving (if that ever happens to you), maybe stop by if you’re walking down Fifth Avenue, or it’s something to do if you’re already staying at the hotel. Right across the street from The Peninsula, afternoon tea at The St. Regis is served under the sky—a painted masterpiece of the sky. I envision this place as a cool haven after walking around Central Park on a hot summer day. 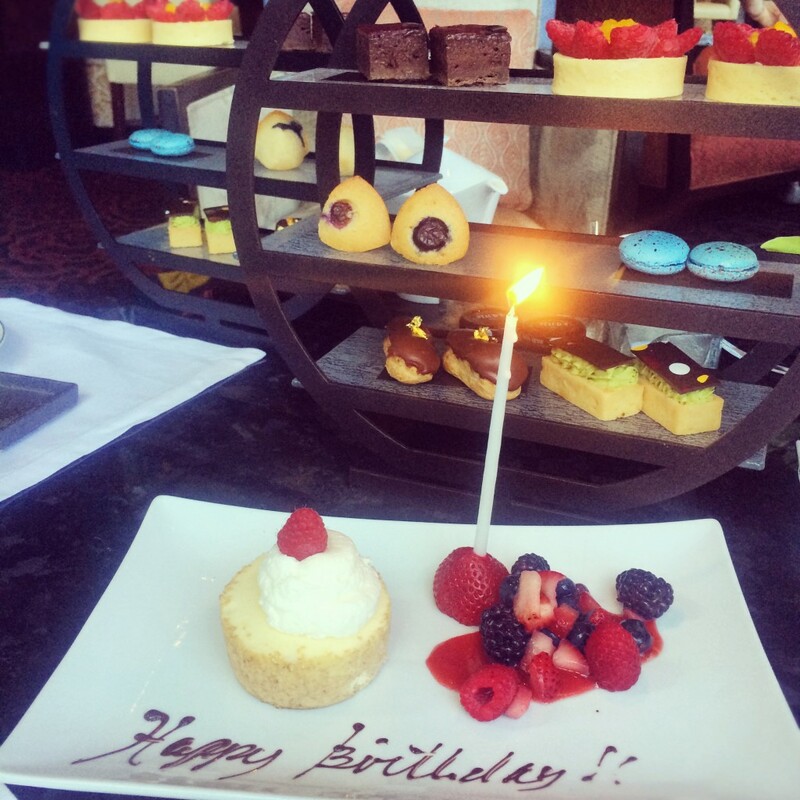 This, flowery tea ware and exceptional service were highlights. One of the first places I went for tea in New York City. 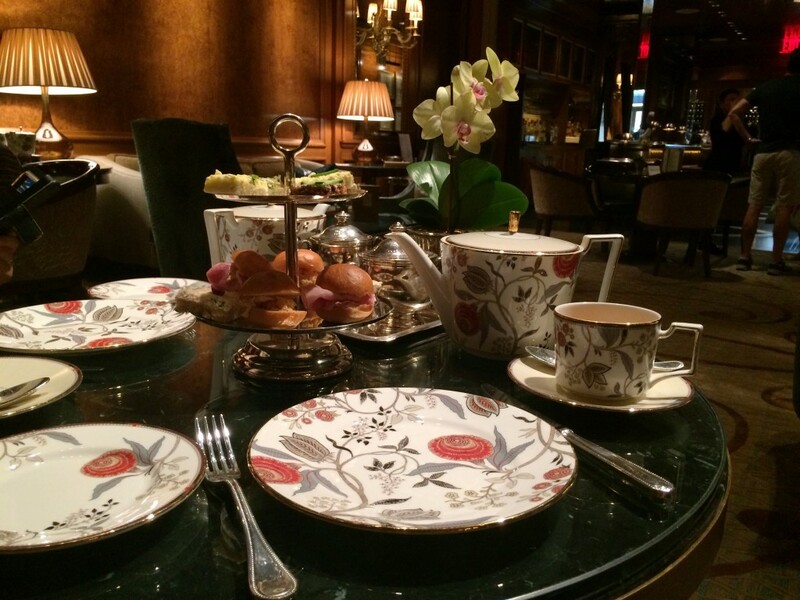 The Pierre is super chic and has their own tea blend. Double win. Having tea here could be like having tea in a Turkish palace. That is, if there aren’t too many people going in and out. These were all hotels, so I wanted to include another option too: museums! 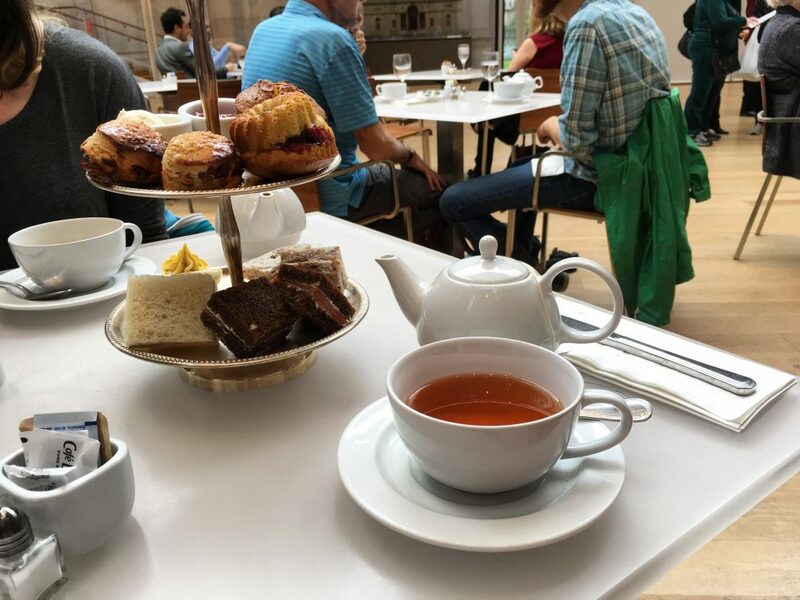 While not the same quality as you’d get in hotels (in terms of food), these two museums which happen to be my two favorite museums in the city, offer an afternoon tea service that you can take advantage of after browsing the galleries. 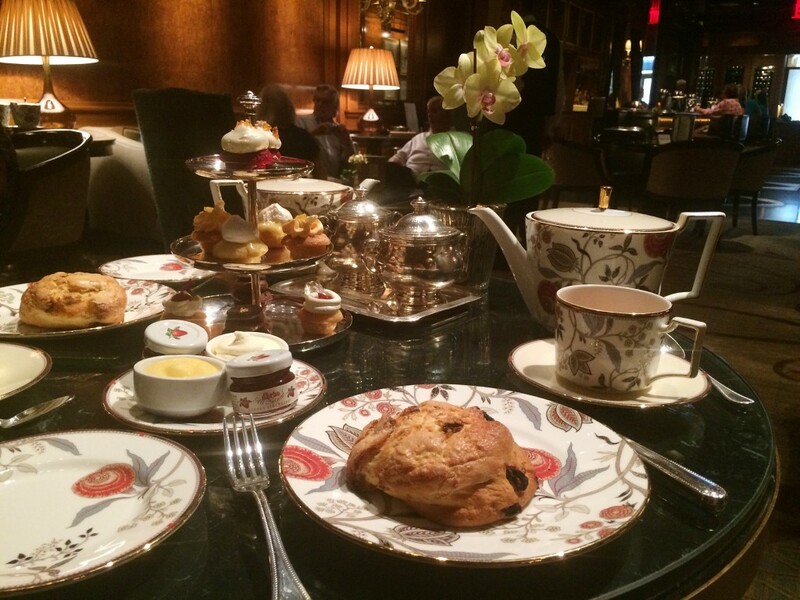 What are some places for afternoon tea in New York City that you’d recommend? Leave a comment below!